Quasar Design was founded in 2015 to provide quality product design and development consulting that offers assistance with everything from conception of a product through prototyping, formal design drawings, testing, sourcing, and full-scale production. We work with manufacturers, design firms and individual inventors. Our team works with an array of projects, timelines, and budgets. Though Quasar Design is located in Chicago Illinois, we work clients from all over the world. Please see our team members below for more information. 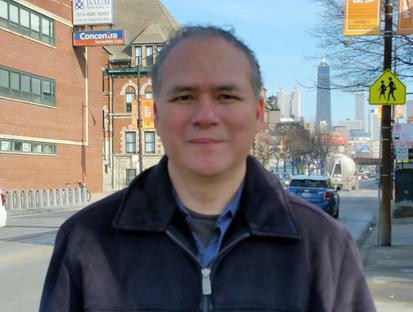 Yuri Gallegos has more than 20 years of experience in mechanical and electrical engineering as well as industrial design, software development, and project management. While he founded Quasar Design in 2015, Yuri previously drove consumer product development at Panduit, Baxter and Giravi Global. He has lead teams in developing solutions for companies in the pharmaceutical industry, fiber optics industry and on the Forbes 100 list. Most recently, Yuri was the Director of Product Design at Chicago's Giravi Group. Yuri holds a B.S. of Applied Science in Mechanical engineering from the Universidad San Francisco de Quito. Beyond directing the Quasar team's designs, engineering, and project management, Yuri spends his free time with his wife and three daughters visiting relatives around the world. Valerie Trent has more than 10 years of experience in design, marketing, and project management. She is currently working with Quasar Design as the Director of Marketing. Valerie previously drove commercial interior design projects for companies such as Spotify’s North American headquarters, Nuclear Energy Institute and Marriott headquarters. 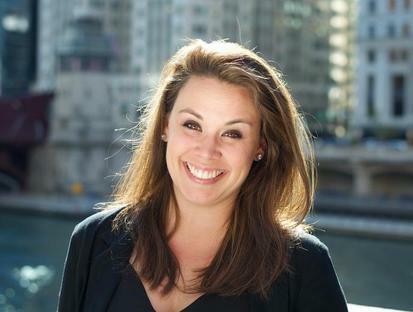 She has also lead a brokerage team at the previous Chicago-based furniture dealer, Desks Inc. Most recently, Valerie has directed Design Development at the multi-billion dollar company, Tarkett Inc. She holds a bachelor's degree from the University of Tennessee, Knoxville. Beyond championing the design and development of Quasar Design's team and products, Valerie spends her free time running, painting, and taste-testing chocolate from around the world. Tommy, a Senior at the Illinois Mathematics and Science Academy, is studying Mechanical Engineering. As a student, Tommy has Co-Founded Inspirulina and Series - both ventures that develop software for growing industries. Tommy is also Captain of the Robots Club, and Ideation. Tommy's talent for both mechanics and electrical engineering, as well as breath of business adds a young energy and layered perspective to the team. Outside of school, leading clubs, and working for Quasar Design, Tommy enjoys biking and playing soccer in Chicagoland.